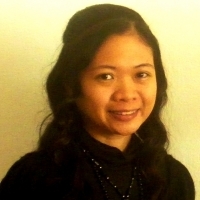 Ellaine came to Wuerzburg, Germany in 2007 to do her PhD studies in Molecular Infection Biology. Little did she know that the Lord brought her to Germany not only to study and earn a degree but for a better work for His Kingdom. Since her childhood in the Philippines, she has been actively involved in care work for less fortunate children and youngsters in rural areas. At the age of 11, her devout Catholic upbringing led her to prepare herself already at this time, to enter the nunnery when she becomes of legal age. She got saved after watching 700 Club Asia when she was 12 but remained in the Catholic faith. She rededicated her life to the Lord and got born again when she was studying in the Netherlands in 2004. The following year, she came back to the Philippines and joined a full gospel church where she served as youth leader for 2 years. When she came to Germany in 2007, the calling which she had since childhood and her love for children became much stronger and heavy on her heart. In 2008, she started serving as a teacher in the children´s church at Freedom Worship Center and became its director in 2010. Currently she is an assistant pastor and speaks frequently. In 2016 Ellaine graduated with a Masters Degree in Theology from Lee Univeristy at the European Theological Seminary in Kneibis Germany. She is also an Ordained Minister with the Church of God in Cleveland, TN. With all the work that God is doing in her life, she knows that she is just at the beginning of far greater things ahead for His Kingdom.